Educating myself on the state of USA Rugby this past month has been fascinating; the passion and ability of the U.S. rugby community is enormous, and I appreciate the audience I’ve been given with several members of the USAR Board of Directors. Depending on the outcome of the Board meeting this Saturday, November 7th, I will petition the USAR Congress with various requests. Continuing in my efforts to learn more about the women’s game, I had the opportunity to meet with Kelsi Stockert yesterday. I had no idea what to expect. 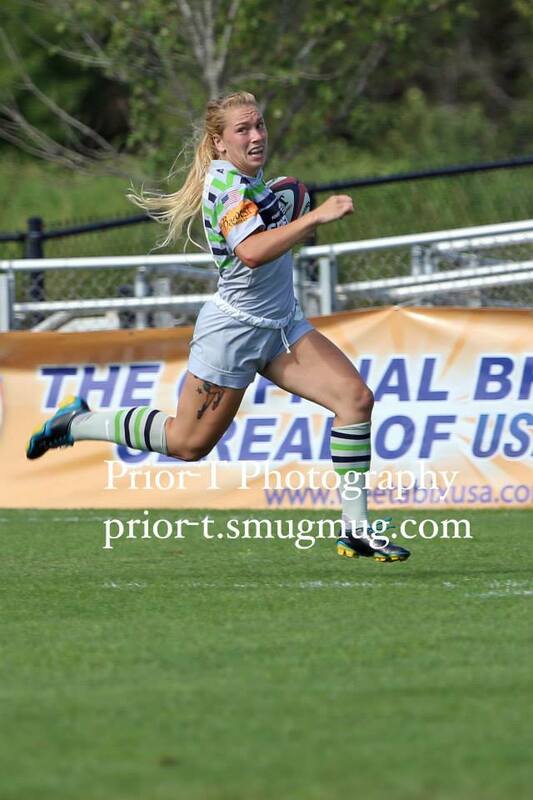 I had been introduced to her through Facebook, and only knew that she is in the USA Women’s program at the elite level. Kelsi walked in the restaurant, and we awkwardly hesitated to shake hands or hug. We sort of hugged and she said ‘what the heck, it’s rugby’. I liked her immediately. We couldn’t talk rugby fast enough. It took us 30 minutes to order food because we were just so anxious to share our experience and our passion. Here I am (54 y/o, dad w/ children, business guy, ex player, blah, blah, blah) sitting across from a 22 year old single mom. She drives 65 miles each way to train 2x-3x/week, driven by her passion and the support of her family. Her father sold personal belongings to fund a recent trip for Kelsi to NASC to compete at a high level and gain exposure. She relies on an ATAVUS scholarship to allow her access to High Performance coaching and training. There we were, just talking rugby. It did not take long for me to realize she has the exact same fire to play at a high level and push herself to the highest potential that I did 25 years before. So much commonality between two vastly different people – wanting to be coached at the highest level possible, access to highest level competition week in and week out, parity in teams/leagues (I thought I was listening to myself when she said ‘no one gets any better in a game where the final score is 60-5). She played in all three ‘tests’ this year in the Women’s Super Series, and faced the Haka. All this rugby player wants to do is play at the highest level. I can relate to that. I’d be proud to have Kelsi represent the USA in Rio next August, and I think you would be as well, especially if you had the chance to spend time with her, as I have. She’s exceptional, and I’m glad to have gotten to know her just a little bit. Last night I was able to learn a lot about the women’s game, and it struck me that in terms of ‘growing the game’ we are missing an enormous opportunity. The Women are one of the highest ranked Tier 1 teams, and Kelsi is convinced the USA will win their next RWC in Ireland in 2017. We could make massive headway growing the game in this country marketing the women’s game and getting creative in that space. The possibilities are endless. Just look at the national pride and enthusiasm for our FIFA Women’s World Cup Champions – wouldn’t it be great someday to see our RWC Women’s Champions getting a ticker-tape parade in NYC too?